MOSCOW, March 18. /TASS/. More than 97,000 ballot stations opened in Russia and abroad for the Russian presidential election on Sunday, Central Election Commission head Ella Pamfilova said. 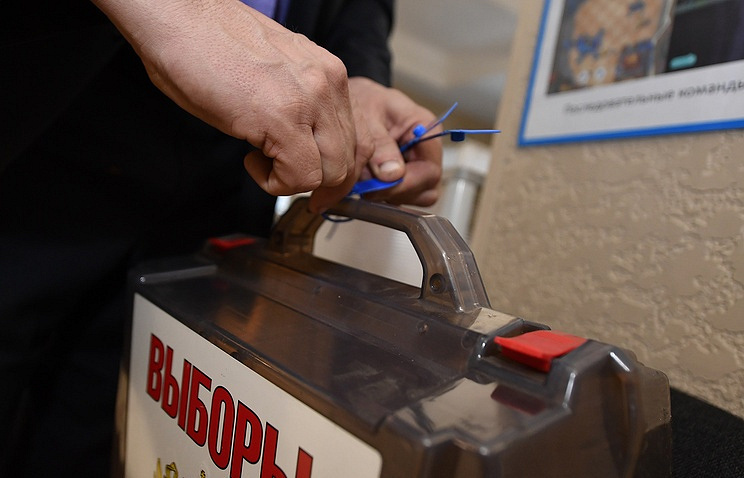 "All ballot stations in the country are working now, in Chukotka and Kamchatka they will close in an hour, and the last ballot station will close in the Kaliningrad Region at 9 p.m. Moscow Time," Pamfilova said. "In total, more than 97,000 ballot stations will be used for the voting - 48,000 in cities and more than 48,000 in villages," she said. Some 2,300 ballot stations will work for special groups of voters at the places of their temporary stay. Some 401 ballot stations opened abroad in 145 countries, including seven in Kazakhstan’s Baikonur. More than 107 million Russian citizens are eligible to vote now, Pamfilova said. Eight candidates are running for the highest office in the Russian Federation. 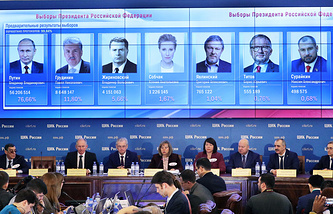 Among them are: incumbent President Vladimir Putin; Pavel Grudinin, director of the Lenin State Farm (nominated by the Communist Party of Russia); TV personality and socialite Ksenia Sobchak (nominated by Civil Initiative); Sergey Baburin, head of the Russian People’s Union party; Maxim Suraikin, chairman of the Central Committee of the Communists of Russia party; Boris Titov, chairman of the Party of Growth and Russian Presidential Envoy for Entrepreneurs’ Rights; Grigory Yavlinsky, head of the Yabloko Party’s federal political committee; Vladimir Zhirinovsky, leader of the Liberal-Democratic Party of Russia (LDPR).